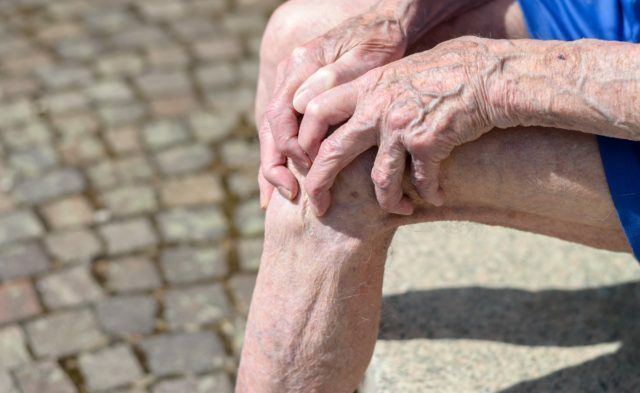 Study participants were asked to fill out questionnaires to assess knee pain severity and type, as well as widespread pain, pain catastrophizing, and fatigue. Neuropathic-like knee pain (NKP) may be driven by central risk factors that include depression, anxiety, and pain catastrophizing, indicating that NKP may require different prevention and treatment strategies from non-neuropathic knee pain, according to a study published in Arthritis Research & Therapy. The study included participants age ≥40 who completed a postal questionnaire to assess knee pain severity using a numeric rating scale and type — neuropathic vs nociceptive with the modified painDETECT questionnaire — as well as age, body mass index (BMI), significant knee injury, widespread pain, pain catastrophizing, and fatigue. The results indicate that central and peripheral risk factors contributed equally to non-NKP (proportional risk contribution [PRC], 10%; 95% CI, 5-20 for both), and that only central risk factors contributed to NKP (central risk factors: PRC, 8%; 95% CI, 2.5-12.5 vs peripheral risk factors: PRC, 3%; 95% CI, −0.25-7.5). “Consideration of NKP characteristics and the balance of central vs peripheral risk factors in individuals with [knee pain] could help direct best treatment selection and optimize patient care,” the researchers wrote.